Sometimes you might wonder, "why should I use a travel agent?". I have been a travel agent for 20 plus years, and feel blessed to have helped my clients empty their bucket lists. I am on your side. I can help you save money, am here when you have questions, and make sure that you get that perfect resort for your family and friends or suggest a romantic place to share a dreamy experience with that someone special in your life. Most of all I can save you valuable time. I have traveled to Mexico, the Caribbean, Alaska, Hawaii, Disney World, Holland, Belgium, Hungary, Austria, and Spain. It is important to choose a travel specialist that has traveled extensively. It is that first-hand knowledge that helps us to customize your perfect experience, and meet your needs and desires. 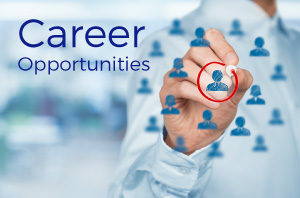 I have also built many connections throughout the industry to help serve you better. I treat each of my client's vacation as if it were my own. As a dedicated cruise specialist, Teresa completed comprehensive training and immersion trips to directly experience a wide-range of cruise lines. Her first-hand experience allows her to understand how to customize cruise lines and itineraries to create a memorable cruise experience for her clients. Oahu is an island of adventure, excitement, history, and beauty. From Oahu’s eclectic and famous Waikiki Beach, to its stunning North shore, this is an island for everyone. I have kayaked to an out island, and visited the sacred birthing stones. Let me help you make the most out of your visit to the island that made Hawaii famous. Close your eyes, picture shades of ocean blue, palm trees swaying, white sand beaches, and the lush Piton Mountains. Teresa has visited St. Lucia three times and she believes this Windward Island is the most romantic island in the Caribbean. From hiking to the edge of an extinct volcano, to riding horses along the beach, if you can imagine this romantic vacation for yourself, Teresa will make this the most memorable vacation ever. Are you an adventure seeker? Costa Rica’s natural beauty will captivate and inspire you. Would you like to float down a river watching for monkeys and exotic birds or catapult down a river with a paddle and helmet? This country has so many options, and it is just waiting for you! There are so many options for saying “I do”. For you it might be on a beautiful white sand beach, facing the azure sea, or for others it might be a drive- through wedding chapel. Whatever your dreams are, I can help you make it happen. 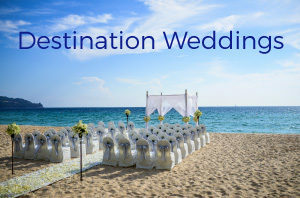 As a destination bride myself, I have been helping couples escape the demands of a traditional wedding for over 20 years. If you are enamored with Europe’s old traditions but are looking for a new way to experience them, river cruising might be the answer. Allow me to help you escape on the many waterways of Europe. I am a river cruise specialist for Uniworld and Avalon. I can help you find that perfect itinerary. From Amsterdam to the Black Sea the options are endless. I know that you will fall in love with Europe with its quaint outdoor cafes, beautiful churches and cathedrals, and museums full of history and culture. You will love this all inclusive cruise concept.